Inventory is like cash that can't be spent, so managing your inventory properly allows for a steady cash flow in your business. Supply chain management is the streamlining of the flow of materials and accompanying services, from the planning stage through the use of the material, in order to provide consistent material flow, effective scheduling and cost savings. Supply chain management spans all movement and storage of the materials, work-in-process inventory, and finished goods from point of origin to point of consumption. The end cost of the product to the consumer is affected by many variables including transportation, manufacturing and added services. 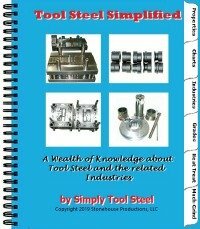 Many of these same factors affect the flow of tool steel from the production of the steel to its use in the manufacturing industry.